The world?s number one saltwater hardbodied lure and No. 1 choice for open water trolling. This lure has been manufactured by old school traditions.Made in Irland. The lure is new and unused, as well as the packaging hasn’t been opened and is still sealed. 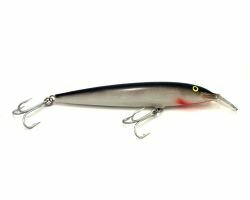 This lure is a real treasure for every passionate collector as well as for every connoisseur of the good old quality.